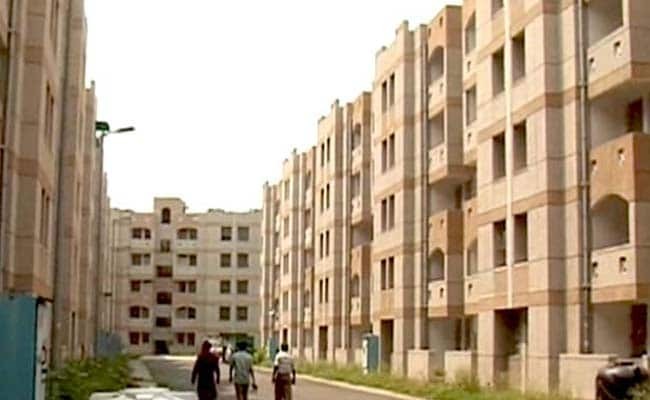 The central government recently announced that the benefit of interest subsidy of about Rs 2.60 lakh on home loans under Pradhan Mantri (PM) Awas Yojana (Urban) for middle income groups (MIG) has been extended by 15 months. The benefit of Rs 2.6 lakh Pradhan Mantri Awas Yojana subsidy will be available till March 2019. The central government recently announced that the benefit of interest subsidy of about Rs 2.60 lakh on home loans under Pradhan Mantri (PM) Awas Yojana (Urban) for middle income groups (MIG) has been extended by 15 months. After the extension, the benefit of Rs 2.6 lakh subsidy will be available till March 2019. On 31 December last year, Prime Minister Narendra Modi had announced that the credit linked subsidy scheme (CLSS) under PMAY (Urban) applicable to applicable to middle income groups till the end of December this year. Experts have welcomed the extension. Amandeep Singh Dhaliwal, vice president at Levidia Infra Group, said, the extension will give more time to middle income groups to avail interest subsidy under the scheme. "The idea of 'Housing For All' for which the scheme was introduced in a big nation like India cannot be fulfilled in an year's time," he said. The PM Awas Yojana subsidy scheme is against the home loan of the beneficiary. This means that the subsidy amount will be credited in the loan account of the beneficiary. The subsidy amount is credited upfront and it will reduce the principal outstanding amount of the loan. The home loan borrower can then opt for lower EMIs or repay loan faster with original EMI. The foremost condition of PM Awas Yojana (CLSS) is that the family should not own a pucca house either in his name or in the name of the family member in any part of India. Under the subsidy scheme, middle-income group beneficiaries with annual income of above Rs.6 lakh and up to Rs.12 lakh get an interest subsidy of 4 per cent on a 20-year loan component of Rs 9 lakh. Those with annual exceeding Rs 12 lakh and up to Rs 18 lakh would get interest subsidy of 3 per cent. Additional loans beyond the specified limit, if any, will be at non-subsidised rate. Home loans sanctioned or applications are under consideration since January 1, 2017, are eligible for interest subsidy under the Credit Linked Subsidy Scheme for Middle Income Groups under the PM Awas Yojana. Beneficiaries eligible for interest subsidy under the CLSS scheme have to apply to their lenders for availing the subsidy benefit. Interest subsidy will be provided on loans for construction/acquisition of house with carpet area of up to 90 sq metres for those with income of up to Rs. 12 lakh per year and of up to 110 square metres for those earning between Rs. 12 lakh and Rs. 18 lakh per year.